Jeff Suddendorf has served as our Minister since 1989. 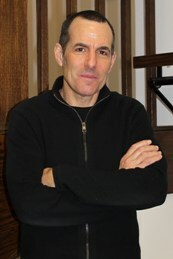 Jeff is a graduate of St. Olaf College in Northfield, Minnesota, and Union Theological Seminary in the City of New York. Don Niederfrank is serving as our Minister of Visitation. Don is a graduate of Lakeland College and Chicago Theological Seminary. Don retired in 2013 after 36 years serving congregations in Iowa and Wisconsin. Amy Gilhooly has served as our Communications Director since 2007. She has previously served as our Senior High Youth Group Director and Office Administrator. Amy is a life long member of our church. Beckie Perez has served as our Office Administrator since 2007. Owen Madson has served as our Financial Administrator since 2006. Owen also serves on the Wisconsin Conference Board of Directors. Brett Dimmer serves as our Chancel Choir Director. Brett also serves as the High School Band Director and a music teacher for the Grafton School District. Sherri Melichar serves as our Children's Choir Director and Organist and also teaches music at Lumen Christi Catholic School in Mequon. Lori MacRae has served as our Handbell Director since 1992. Lori is the middle school Band Director for the Cedar Grove-Belgium School District and for St. John XXIII Catholic School, and is also the director of the Port Washington City Band. Sherri Melichar serves as our Organist and Children's Choir Director and also teaches music at Lumen Christi Catholic School in Mequon. Pru Palacek teaches piano lessons to all ages at her home in Port Washington and also in Cedarburg. She enjoys accompanying and performing in a 5 piano ensemble.